A community of safe and affordable living, desirable amenities and conveniently located close to the I-17 freeway, major bus lines and future light-rail which connect residents to nearby employment, shopping, supportive services and recreational activities. 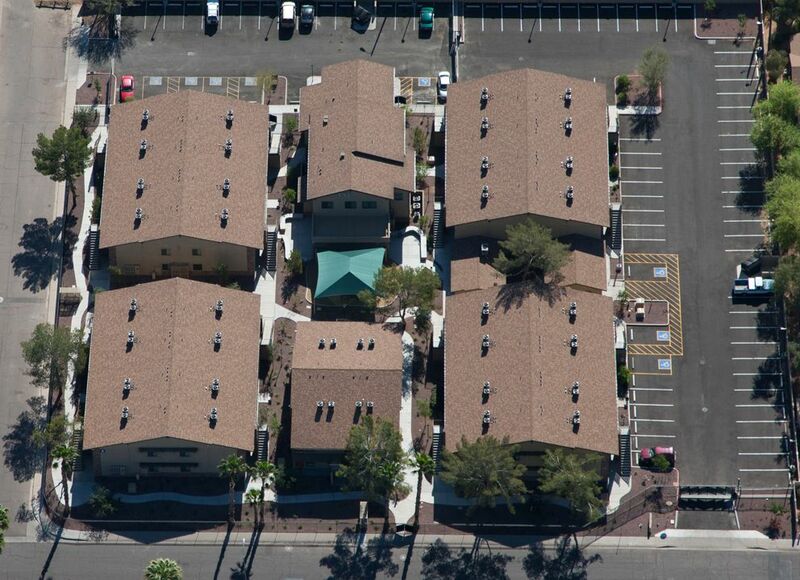 Our community has 36 one-bedroom and 36 two-bedroom apartments that have been completely renovated. The front office is staffed 24/7 and includes a community kitchen, resident computers with internet access, large community rooms, shaded playground and afterschool program. On-site supportive services are available to assist residents with maintaining self-sufficiency and creating a healthy living environment.